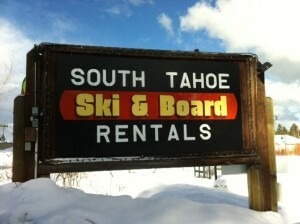 You are here: Home / Testimonials / Sam K.
The Ski Renter in South Lake Tahoe is hands down the best place to gear up for the snow! Whether you need a full set of gear or a good deal on something extra you may have forgotten (goggles, pants, or a helmet for those of you who need a helmet) — the Ski Renter has got it all AND for beyond competitive prices! Even better, is the staff at this place! The shop’s energy is contagious with the leadership and management style by Phil! Phil and his staff are extremely knowledgeable — they will hook you up with the right gear and size at a price that you just can not beat!